As part of the 2016 national tour, Riverside Theatres will present Opera Australia’s new production of Mozart’s The Marriage of Figaro this August. Michael Walls from Western Sydney Business Access reports below. Mozart’s classic comedy has been entertaining crowds for centuries, and between the witty, fast-moving libretto and melodic, charming ensemble writing, it is not hard to understand why. The much-loved opera will retain the music and storyline of Mozart’s original, but will be performed in English with a chamber orchestra. The Marriage of Figaro retells the hilarious account of one household’s adventures over a single day of madness. Masters are lusting over their servants, servants are outwitting their masters, and there are plenty of dress-ups, all in a day’s work! Not only will the families of Western Sydney have the opportunity to enjoy the performance of this new production, but the younger residents will also have the chance to take to the stage. 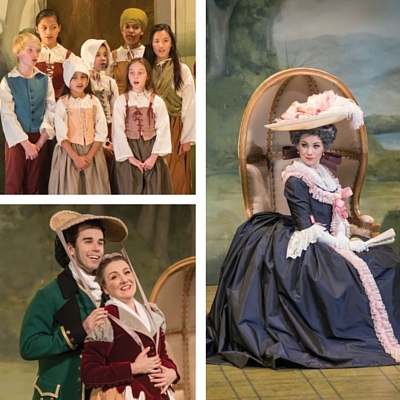 Through Opera Australia’s Regional Children’s Chorus Program, local children will learn to sing songs from The Marriage of Figaro ahead of the opera arriving in town. They will then rehearse with the professional cast, and join them on stage as part of the performance. 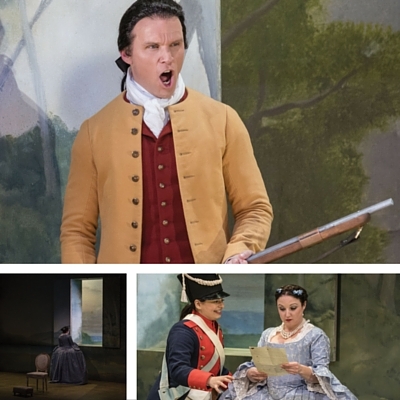 The cast of The Marriage of Figaro is impressive with multiple principal artists from Opera Australia, plus a live touring chamber orchestra under the baton of conductor Paul Fitzimon. The local children’s chorus will be under the direction of Opera Australia’s newcomer Regional Children’s Chorus Master Joshua van Konkelenberg and local choir leaders. Award-winning creative duo Michael Gow (Away, The Kid) and Robert Kemp (The Revenger’s Tragedy, Hot Fudge and Ice Cream) have created this brand new production, featuring stunning period costumes and a clever set. “When you add fantastic music by Mozart, some incredible singing, a small orchestra that’s producing the most amazing sounds for that number of people and have something that’s actually good to look at, I think it’s like an explosion,” said Kemp. Lyndon Terracini, Opera Australia’s Artistic Director is on a mission to make people fall in love with opera, and he believes it is vital to reinvent productions regularly to make them contemporary and engaging for different kinds of settings. “The Marriage of Figaro is a great opera to tour and with the Australian creative team we have to take on this opera, this will be a show audiences won’t want to miss! Michael Gow and Robert Kemp are masters of storytelling, and they have created a version of The Marriage of Figaro that will be unforgettable,” said Terracini. Don’t miss Opera Australia’s production of The Marriage of Figaro playing at Riverside Theatres for a limited time only, 19 – 20 August. Click here to secure your tickets now. This article was originally published on Western Sydney Business Access.